A community clean-up and empowerment project on the east side of Columbia dubbed the “Miracle on East 8th Street” by The Daily Herald. 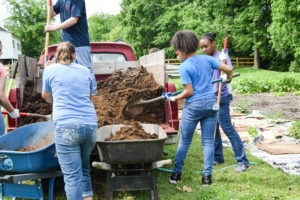 Over 90 community volunteers and Club members came together for an all-day effort to remove debris and clear out overgrown, abandoned lots on East 8th Street, Iron Bridge Road, and East End Street. The effort resulted in the removal of 11 tractor trailers’ worth of debris. One neighborhood resident expressed her gratitude in tears as she saw out of her home’s window for the very first time when the overgrown lot next door was cleared. A “Just Say Yes” community block party in the Macedonia community that brought together over 20 prevention partners to provide over 300 families and youth with fun, healthy alternatives to drugs and alcohol that they could say “yes” to. 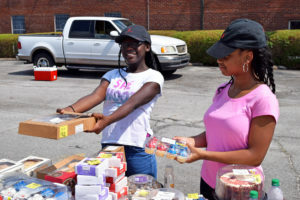 In 2013, we won a Program Excellence Award in the area of Good Character and Citizenship from Boys & Girls Clubs in Tennessee for the Miracle on East 8th Street community clean-up effort. We were the only Club in the state to take home Program Awards in two of the five categories that year. 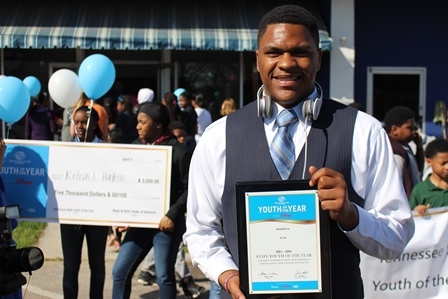 In 2015, our Youth of the Year candidate Ketron Hatton was selected as the Tennessee State Youth of the Year! 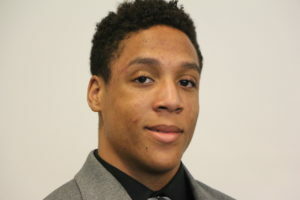 As only a junior, Ketron was one of the youngest candidates to ever win this honor. 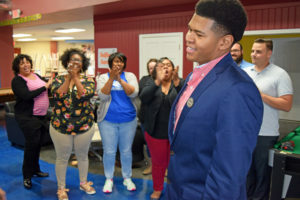 He represented Tennessee in the Southeast Regional Youth of the Year competition in Atlanta, where he was selected from among dozens of impressive candidates to give his speech to the 1,000+ dignitaries in attendance for the finale dinner. He was ultimately selected as the runner-up. Ketron won a full ride scholarship to TSU in recognition of his impressive achievements, and has fulfilled his goal of serving his country by enlisting in the Navy and successfully completing boot camp. In 2016, our Youth of the Year candidate Brandon Levier was also selected as Tennessee State Youth of the Year! Brandon’s win made our Club the first in Tennessee to win the state title twice in a row. Brandon also went on to compete at the Southeast Regional Competition in Atlanta, and won $15,000 in academic scholarships from BGCA and the Tennessee Titans. Brandon is currently attending Cumberland University, where he is studying business administration and playing basketball. Brandon frequently visits the Teen Center to continue serving as a role model for our Club Teens and showing them that attending college is possible for them. You can hear Brandon’s winning speech by clicking here. Continuing our winning streak, our 2017 Youth of the Year candidate Jessica Harrison received First Runner Up for the entire state of Tennessee! For her win, Jessica received $8,000 in academic scholarship from the Tennessee Titans Foundation and BGCA. 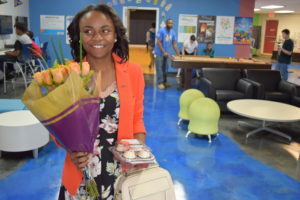 In her Youth of the Year speech, Jessica broke out of her shell and revealed the abandonment she experienced at six years old when her father vanished from her life. Jessica gave her moving speech again at our 2017 Great Futures Luncheon in front of 300+ community members and business leaders, where she received a standing ovation. Click here to hear her powerful speech about the “refining fires” that she has faced and chosen to run through in her life. Jessica graduated from Spring Hill High School with a 3.55 GPA in May 2017. Jessica now attends Austin Peay State University where she is working towards her dream of becoming a Forensic Psychologist. Our 2018 Youth of the Year, Isaiah Bullock, also received First Runner Up for the state of Tennessee! Along with his win, he received $8,000 in academic scholarship from the Tennessee Titans Foundation and BGCA. Isaiah shared his speech as part of our 2018 Great Futures Luncheon in front of a sell-out crowd of community leaders. During the Luncheon, he received an additional $5,000 in scholarship from John Maher Builders. Click here to hear Isaiah’s moving speech about going from living in the shadows of others’ choices, to being a light for others. In May 2018, Isaiah graduated from Columbia Central High School. This Fall, he plans to go to college and pursue his goal of helping others by studying Psychology.